Originally published in the East Bay Express on Jan. 6, 2016. In Mothers of Men, Dorothy Davenport (middle) stars as the first female governor of an unnamed state. 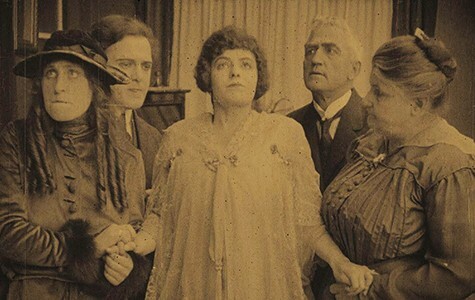 In Mothers of Men, a 1917 film set in the Bay Area, heroine Clara Madison (Dorothy Davenport) faces a moral dilemma: As the newly elected governor in a state in which women have recently won the right to vote, she must choose between pardoning her husband, who was wrongly convicted of a murder he didn’t commit, and preserving the achievements of the feminist movement by serving as an incorruptible enforcer of the law. Oakland resident James Mockoski, a film archivist for Francis Ford Coppola’s company American Zoetrope, sought out Mothers of Men as an undergraduate student at UC Santa Cruz (UCSC). He is now partnering with the San Francisco Silent Film Festival to raise $60,000 to restore and premiere it at the annual festival in June. Set largely in Santa Cruz with scenes shot in Berkeley and elsewhere in the Bay Area, the film was a bit of a legend for local historians, but no one had seen it or knew of a copy that existed, Mockoski said. Ross Eric Gibson, a Santa Cruz filmmaking historian, wrote in a 1994 San Jose Mercury News column that finding the film was crucial to local filmmaking history because the movie’s cast contains so many local residents, and it was one the largest productions in the area at the time. While a student at UCSC, Mockoski wrote to film archives all around the world inquiring about Mothers of Men. In 1997, representatives at the British Film Institute responded, saying they had a copy of Every Woman’s Problem, a 1921 print with the same cast and crew. Mockoski, Gibson, and UCSC professor Shelly Stamp, a specialist in female roles in early films, then verified that this was the same film, just rereleased under a new title. Like many films of the progressive era, Mothers of Men focused on one of the largest social issues of the day, Stamp said. 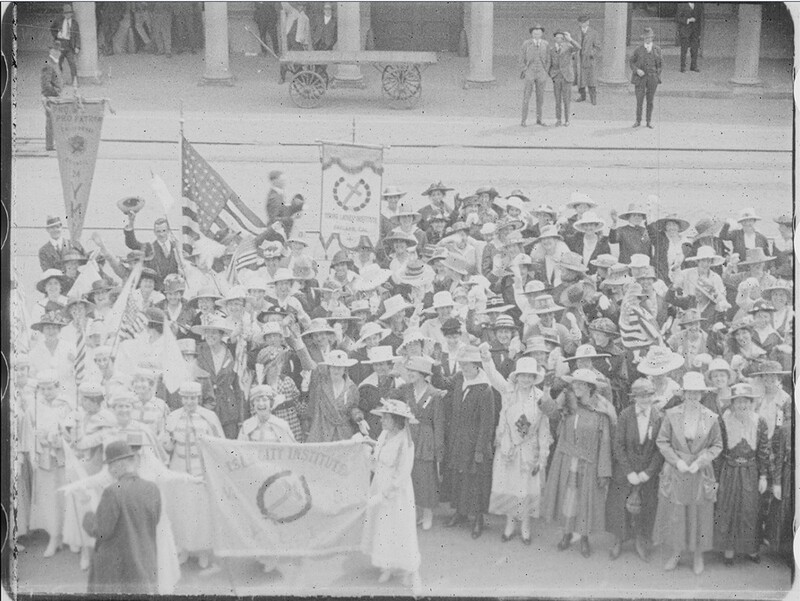 Though women had narrowly won the right to vote in California in 1911, the national drumbeat for universal suffrage was growing louder. This rally scene from Mothers of Men was shot on Shattuck Avenue in Berkeley. Mockoski said that to restore the film, he and his colleagues first need to scan each individual negative digitally, so they can use software to remove scratches, bubbles, dust, and other blemishes. Although the movie was shot with black and white film, Byrne said it was typical for films at that time to actually have coloring — in this case, blue, pink, and amber hues that mark varying points in the plot. Once the film is scanned and has been colored to match the original version, the digital images will then be reprinted back onto film, which Mockoski said is still the best way to preserve films today. It will also be given a score, he said. As of this week, the team had raised just more than $34,000 toward that effort by soliciting donations through the movie’s website. The movie will eventually be archived at the Library of Congress, Mockoski said, and he plans to show it at theaters around the Bay Area after the San Francisco Silent Film Festival. Mockoski is hoping that restoring the film will reinvigorate a conversation not just about local history, but also about the women’s movement. He was quick to point out that California has still never elected a female governor. For more information about the film and how to donate, visit MothersFilm.com.